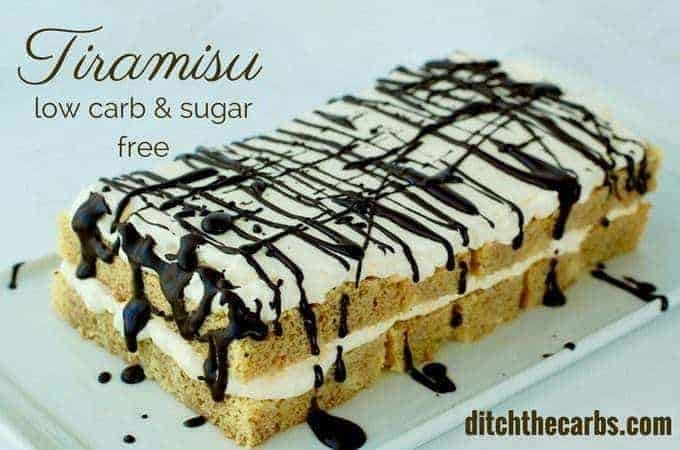 Sugar Free Tiramisu - the best recipe on the internet! Making a sugar free tiramisu has been on my mind for far too long, so when we were away a few months ago, I finally found time to make it. You can make this as boozy as you like, alternatively, you can omit the alcohol entirely, especially if you are serving to children. Why not simply drizzle a little brandy over the top of individual servings for those who like it. Tiramisu generally starts with a very dry sponge, sponge fingers or two-day old sponge. If the sponge is dry, it allows the coffee and brandy liquid to be soaked up without going soggy. I made a quick flourless sponge and cooked it for a little longer to allow it to dry out. I didn’t want to wait for two days to complete the recipe. Who does? You can adapt the recipe to your liking by adjusting how strong you brew your coffee (I like mine really strong) and how much brandy you add. 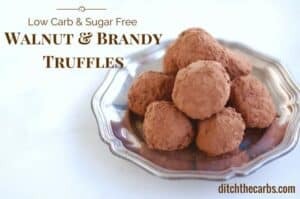 You can even make this alcohol free by using brandy essence. This is my flourless sponge which I slightly overcooked to ensure it was dry enough for the sugar free tiramisu. I adapted the recipe from my flourless berry sponge cake, just omitting the berries. 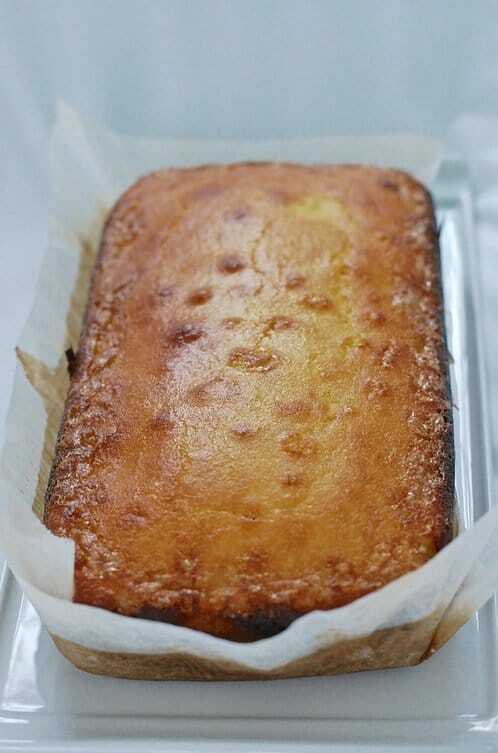 The flourless sponge is an adaptable recipe and I am sure it will feature in many more sugar free and low carb recipes in the future. After it had cooled, I sliced it and left it uncovered for a few hours whilst I made the cream and coffee/brandy layers. Sugar free tiramisu can be made boozy, or not. 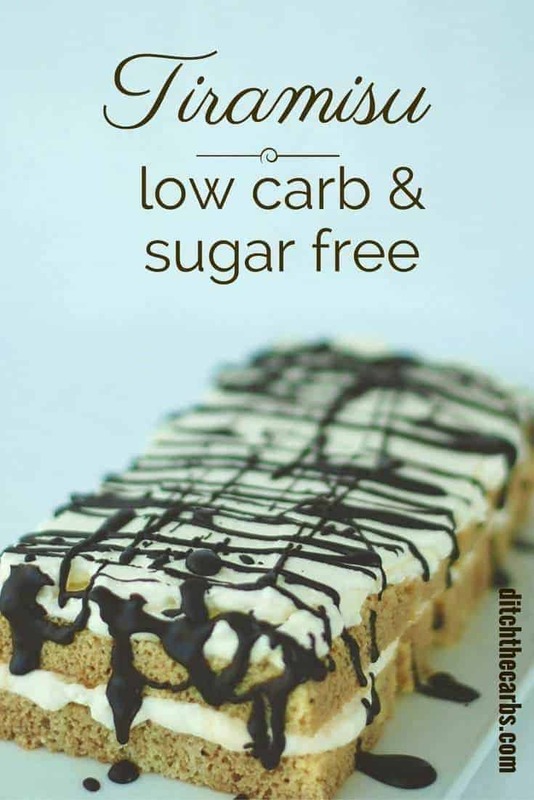 If you have been missing tiramisu since going low carb, I've got you covered with this one! Mix the melted butter, coconut flour, sweetener, vanilla and baking powder together until smooth. Add the eggs one by one, mixing in between each addition. Pour into an oiled and lined loaf tin. Once it is cool, cut into 1cm / 1/2 inch slices and leave to dry for a few hours, or leave them to dry overnight and make the tiramisu the following day. Mix the coffee and brandy together then drizzle over the sponge slices. I find this easier than dipping them in the coffee, as they have a tendency to fall apart. Whip the cream with the sweetener until it is firm. Stir through the brandy/essence if using. In your serving dish, place carefully half the sponge slices that have been drizzled with the coffee and brandy. Make sure they sit tightly together. Spread half the whipped cream mixture on top. Spread the remaining cream to cover the top, then finally, drizzle melted dark chocolate across the top to decorate. Allow the sugar free tiramisu to sit in the fridge for at least an hour for all the flavours and layers to settle together. 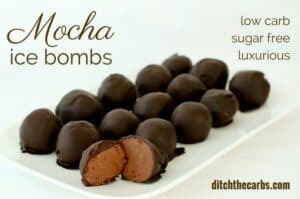 If you love coffee, chocolate or brandy, you may like my mocha ice bombs or my walnut and brandy truffles. I made my own version of the tiramisu, inspired by yours. The main difference is the proportions between the sponge and the cream. I made less sponge and more cream. Your sponge cake is perfect, so I keept it. I just cook it very thin, 3-4mm. I cut the shape and it’s ready. I changed the cream for mascarpone. Don’t know if you can find it in USA, but France is close to Italia :). For me there is no comparaison possible. It’s WAY better, OMG !! I absolutely love how you gave my recipe a French twist and your presentation is absolutely stunning. Bonjour form Nouvelle-Zélande! I started this recipe and my cake came out with a gelatin like layer on the bottom and very greasey. What could’ve caused this? Do you have any ideas on how to fix it? Going ahead with the rest of the recipe in hopes I can still have yummy tiramisu but I couldn’t find anything like this problem anywhere on the internet. I’m so sorry to hear this, no one likes wasted ingredients. I use this basic coconut flour sponge recipe all the time and it never fails. If the oil/fat has come out, my best guess would be that the cake batter wasn’t mixed enough or allowed to stand until the coconut flour absorbed the liquids. I also wonder if you used large eggs? Possibly too much liquid? I hope you managed to rescue it. I used cream and mascarpone cheese a very authentic addition to any Italian turamisu. Would it come out the same if I use almond flour in place of the coconut flour? Sorry, no. This article explains the difference in Coconut flour vs almond flour and this article explains all low-carb flours. They both behave quite differently. Could you state what size dish you cooked the sponge, assembled the sponge fingers in? It makes life much easier with correctly sized dishes. Thanks!! Apologies, I made this when I was on vacation so I don’t know the size of dish I used. I’ll try to add this info from now on in my recipes. This took twice as long to bake, and my coconut flour cookbook with similar recipes required about 55 minutes at that temperature. Looks good, though! Yes, all my recipes show total carbs so simply deduct the fibre to become net carbs. Welcome to low carb, this page may help you. I love tiramisu but on a low carb diet it’s tough to fit in. 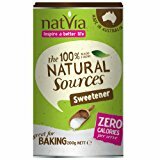 Thanks for providing a low carb and sugar free version! I’ll definitely be trying this one soon! Aw thanks Maya. I love tiramisu (really boozy too) so I knew I had to find a way to make it low carb.